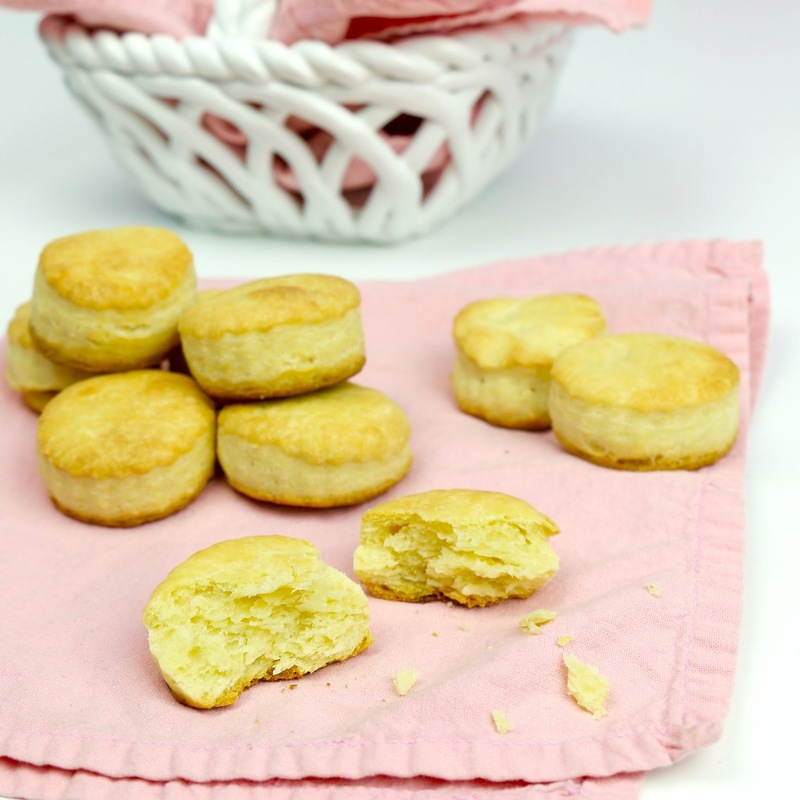 Rich, flaky, melt-in-your-mouth biscuits that taste like a fancy, buttery pastry from a French bakery- made with only 3 ingredients! 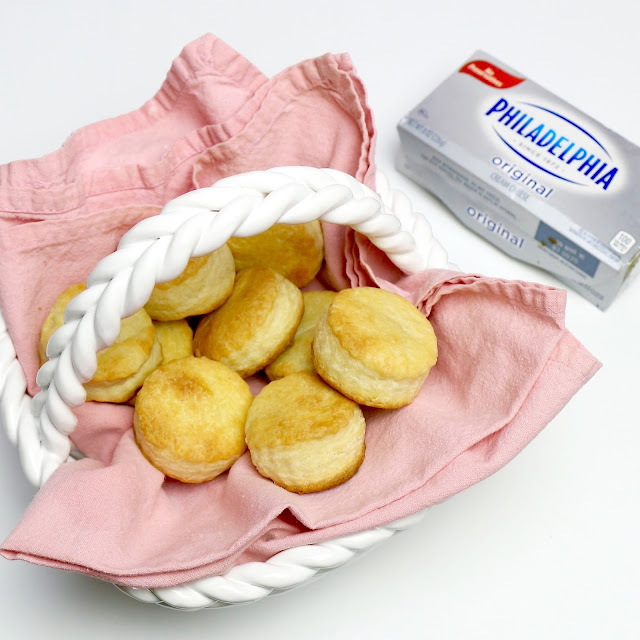 These are so simple to make, so they are perfect to whip together for company or for a last-minute quick and easy dinner addition. They come out so rich and tender, it's like magic. 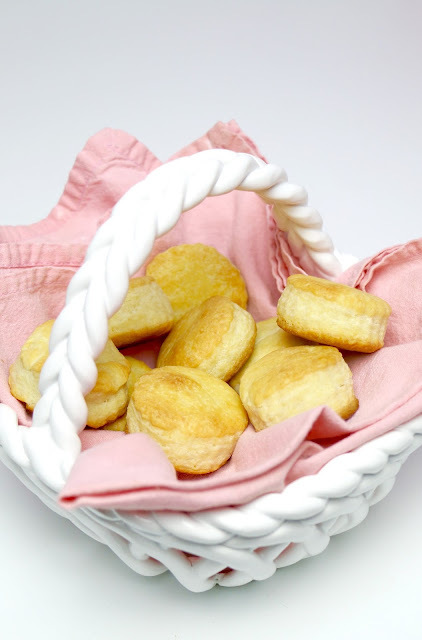 These little biscuits could not be simpler to make. 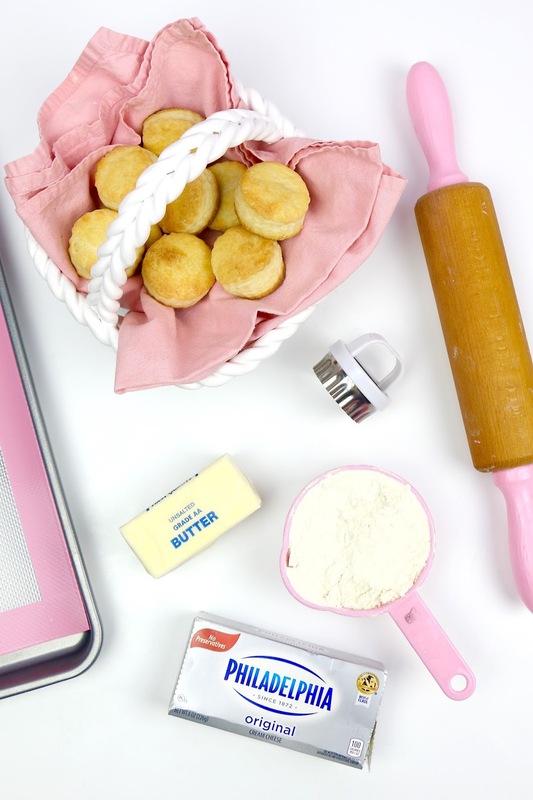 They are made with only 3 ingredients that you probably already have at home, and they are virtually foolproof. 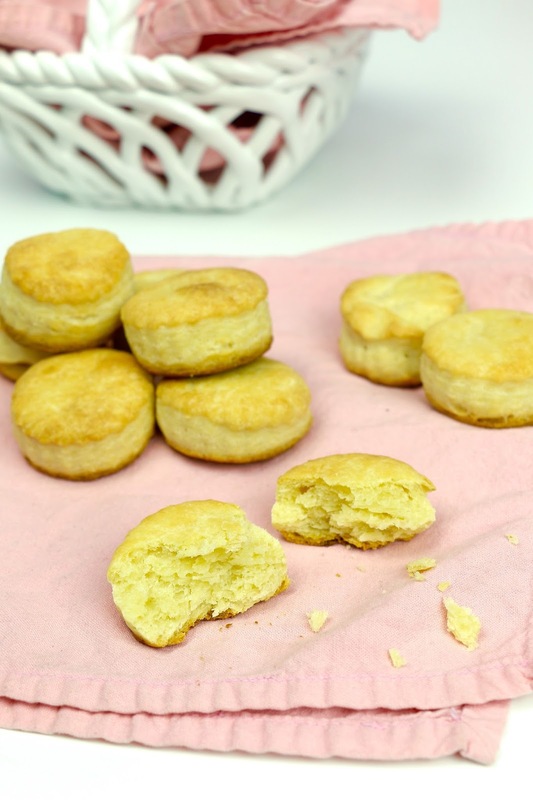 I pretty much have this recipe memorized; a block of cream cheese, a stick of butter and a cup of self-rising flour is all you need for the most buttery, delicious biscuits ever! You won't believe how good these biscuits turn out, with such little effort! 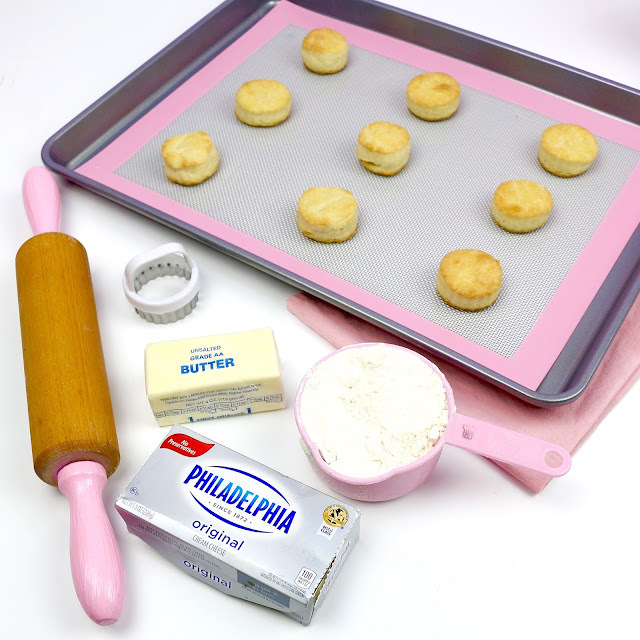 Imagine layer upon layer of flaky, buttery goodness, with a rich tang from the cream cheese that really takes these to the next level. 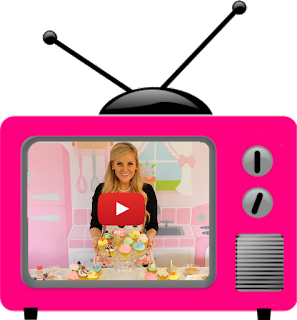 They literally melt in your mouth, like they took hours to prepare and a ton of fancy ingredients... and no one has to know your secret for making these so simple. The best part it is, you can cut the recipe in half to make just a few tender, flaky little biscuits to serve to your friends and family for any casual occasion. 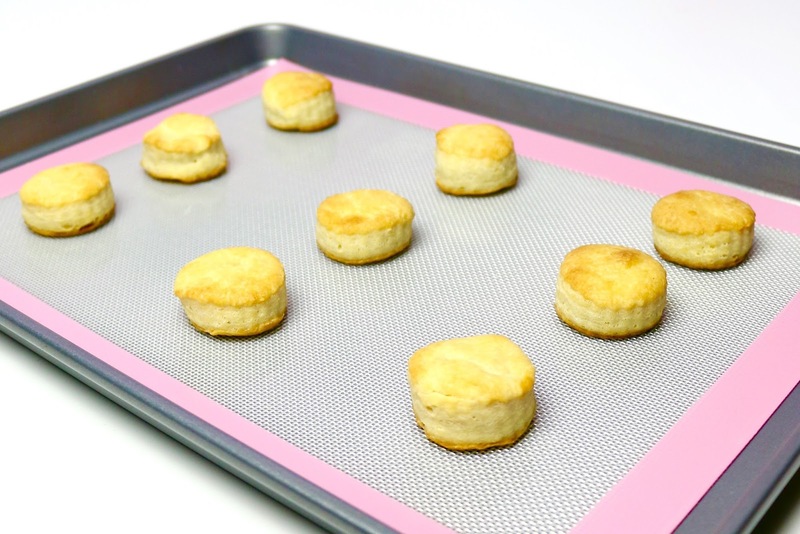 I cut the recipe in half to make one tray of perfect mini biscuits. 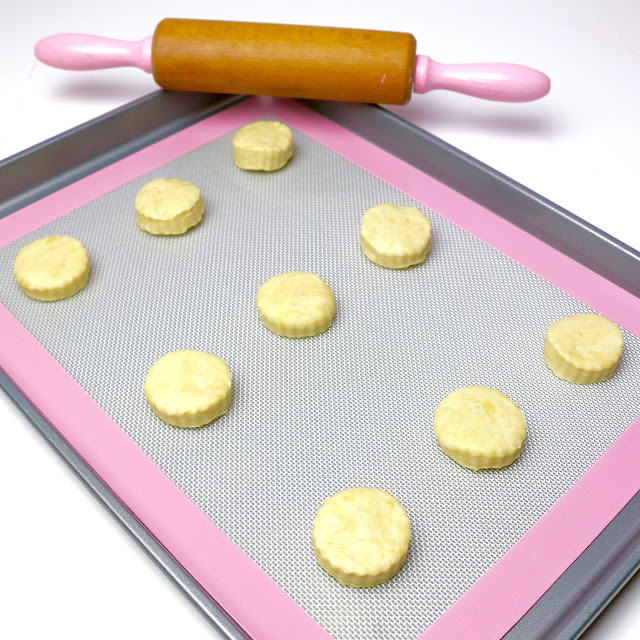 I like to use a mini biscuit cutter for these since they are so rich, making them perfectly poppable and such a special treat. How cute do these little guys turn out?! 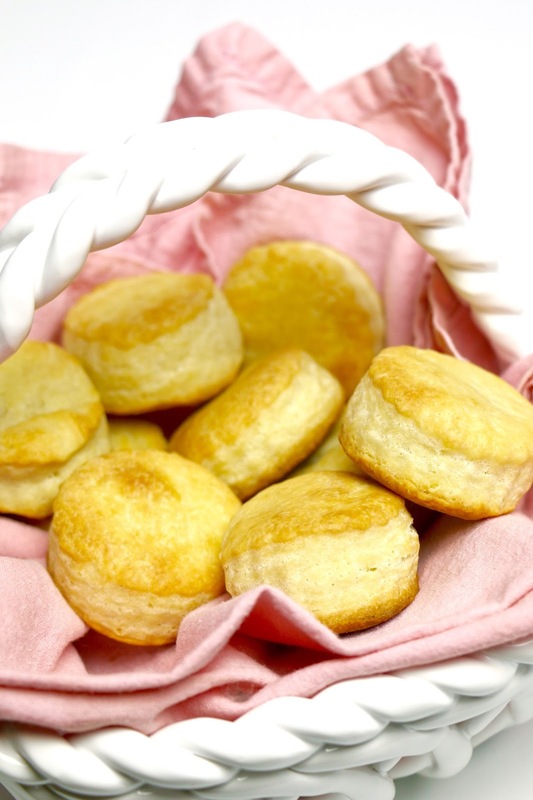 Gorgeous golden-brown tops, and perfectly bite-sized. Whether you’re having the girls over for brunch or serving them at a tea party, or you want a little something special to serve at family dinner, this simple and delicious recipe is perfect to whip up for any casual occasion. 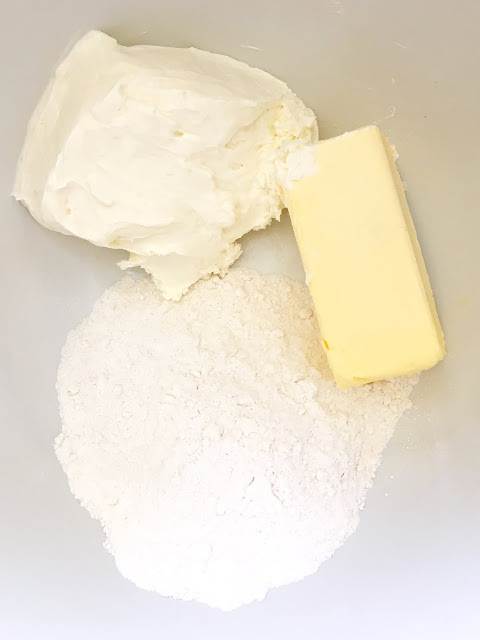 Since the cream cheese is the start of the recipe, make sure to use the best quality. I always use Philadelphia Cream Cheese. It is made with fresh milk and real cream, with no preservatives, so it will give you the best-tasting results every time! Heat oven to 425º F. Line baking sheet with parchment paper or a silicone mat. In a food processor, pulse flour, Philadelphia Cream Cheese, and butter until mixture comes together. Turn dough out onto a lightly floured surface. Pat into a disk, cover with plastic wrap, and refrigerate for at least 1 hour. 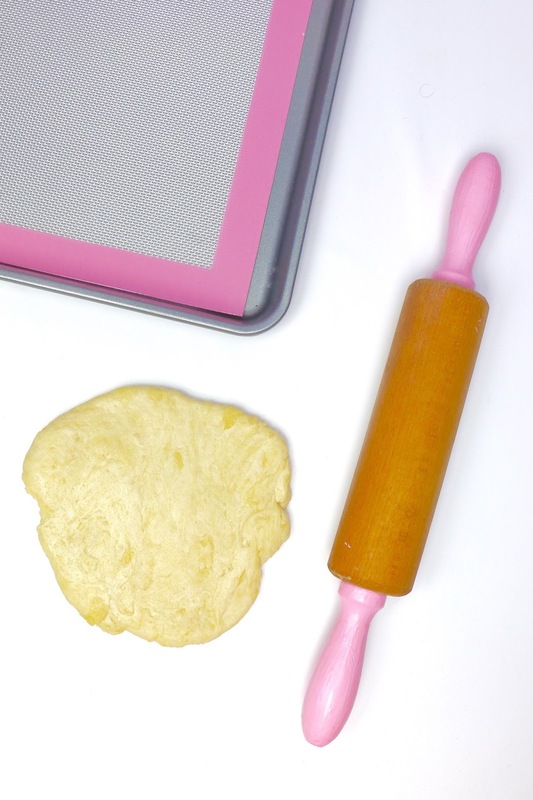 On a lightly floured surface, roll dough out about 1/2-inch thick. 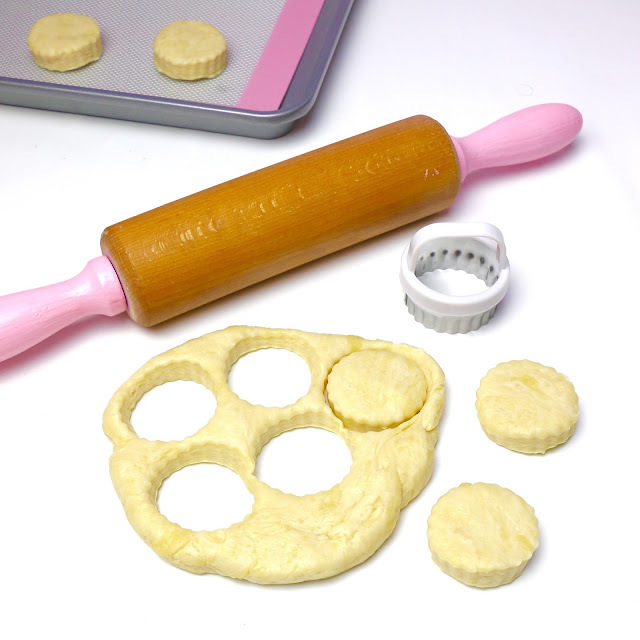 Use a mini 1 3/4-inch biscuit cutter to cut out about 18-20 biscuits. 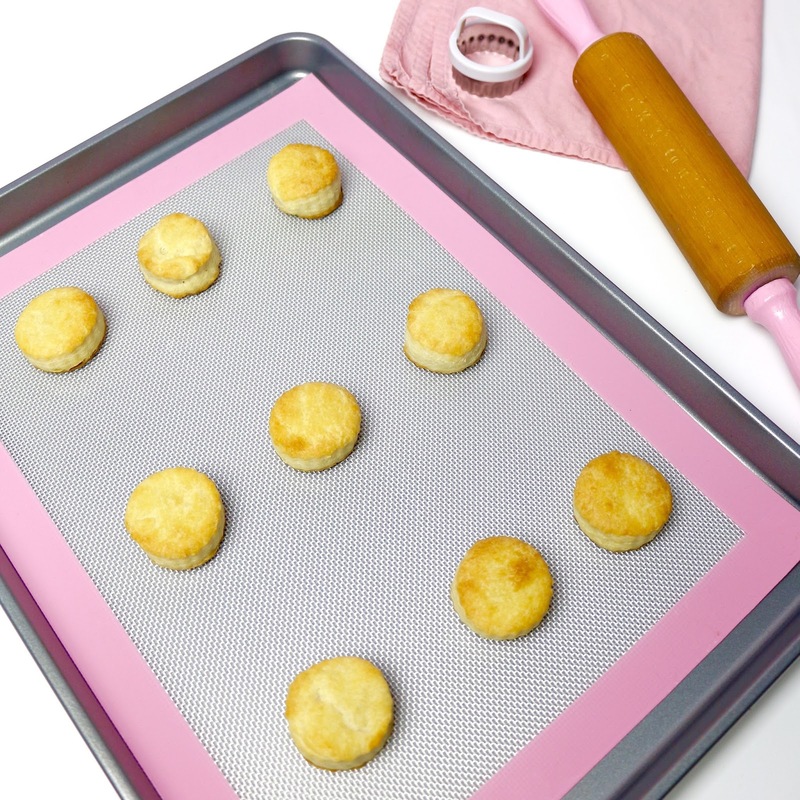 Transfer biscuits to prepared baking sheet, about 1 to 2 inches apart. Brush the tops with butter if desired, and bake until golden brown, about 10 to 12 minutes. Serve warm.